Founded in 1998 in Flensburg, Germany, SerVage.com and it is a company with a long history and a good reputation. The company’s name is compiled with “Serve” and “Age” and it initially started with a different name; however, it has been serving as SerVage since 2004. 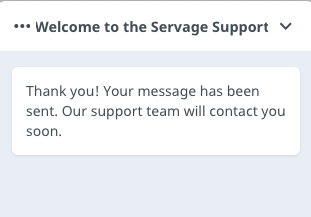 SerVage.com is a subsidiary to the Swedish company Servage AB and (being German) it meticulously indicated even the name of the managing director on their contact page. They claim to have 97% of customer satisfaction and hosting over 140 thousand websites. Currently, there is only 1 shared hosting plan offered by the hosting. Billing periods for it are the following: 3, 6, 12, and 24 months. The monthly price for the cheapest offer is presented in the table above. It is possible to use SerVage for both personal and business needs. The company has suitable offers for everyone. Website builder (Own product / offline / for Windows), and more. The company provides technical and sales support 24/7, or so it is said on their website. However, they don’t answer right away, so we can’t count it as immediate tech support. There are several option offered: phones, email and a live chat. Servage, according to our report, wasn’t in its best form in 2018: 3.7 HRank and the 166th place in our 2018 list. It had a very long and a very bad downtime period that lasted from the beginning of August till the middle of November, with the worst value 47.895%, and the average range 92% – 94%, which is not a very good result. Its response time was also slower than average: mostly in the range of 1,200ms. Such poor uptime results must have turned the customers away. Alas, the number of domains seem only to have increased in 2018. We can’t explain it.